Five men have been charged with drug smuggling after a "significant quantity of cocaine" was recovered from a yacht. 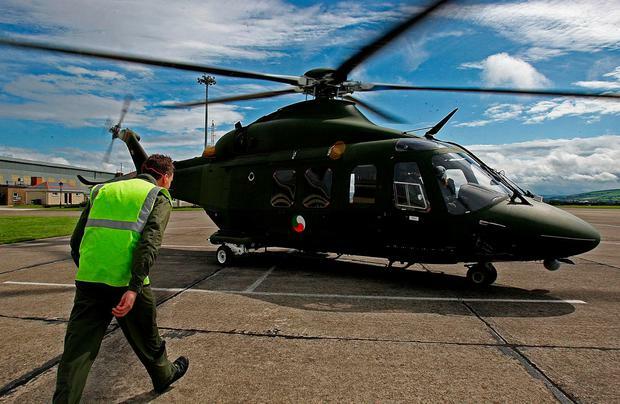 The Defence Forces, Naval and Air Corps took part in a joint operation with the UK Border Force on Wednesday night which led to a 40-foot catamaran being stopped and searched off the south east coast of Ireland. Yesterday, Nigel Clark (63), Dean Waters (60), catamaran skipper Richard Must (48) and crew members Voldemars Gailis (20) and Raymond Dijkstra (27) all appeared at Bristol Magistrates' Court accused of conspiracy to supply cocaine. Britons Mr Clark and Mr Waters, both of no fixed address, Estonia national Mr Must, Latvian Mr Gailis, and Dutch national Mr Dijkstra were remanded in custody. They were arrested on August 29 when the Border Force cutter HMC Vigilant intercepted the Nomad and escorted the vessel into Newlyn harbour. The operation came six weeks after hundreds of parcels stuffed with drugs were discovered on a yacht taken to the same port. Graham Gardner, deputy director of the National Crime Agency, said: "This intelligence-led investigation has resulted in the seizure of a significant quantity of cocaine and the arrest and charge of five men with conspiracy to import cocaine."